Today I got my Holiday Box from Influenster. If you are unfamiliar with Influenster, it’s a website you can sign up for to receive products and review them. Check out http://www.influenster.com and start influensting (new word)! Here is the first thing I pulled out of my box. It was perfect since I got my box at around 9 am and I hadn’t eaten breakfast yet. 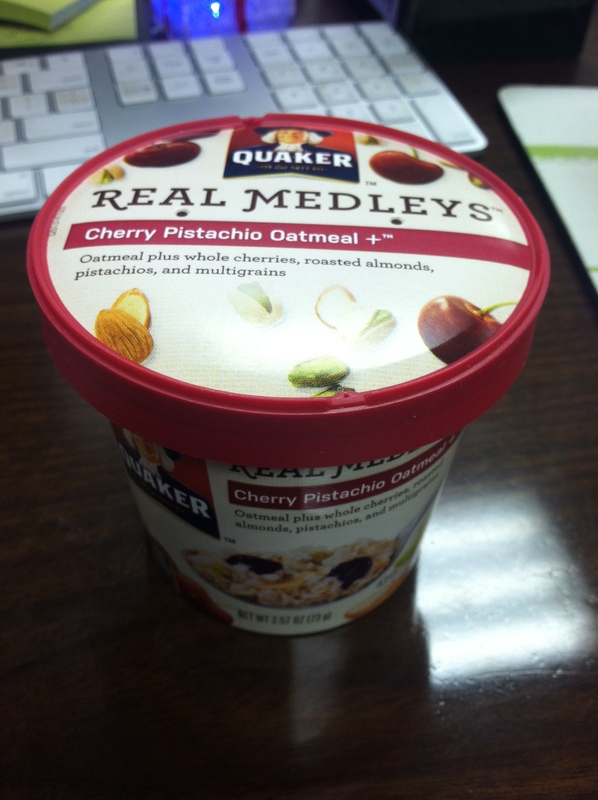 I love Quaker Oatmeal since they always put out great quality stuff, especially these on-the-go type meals. 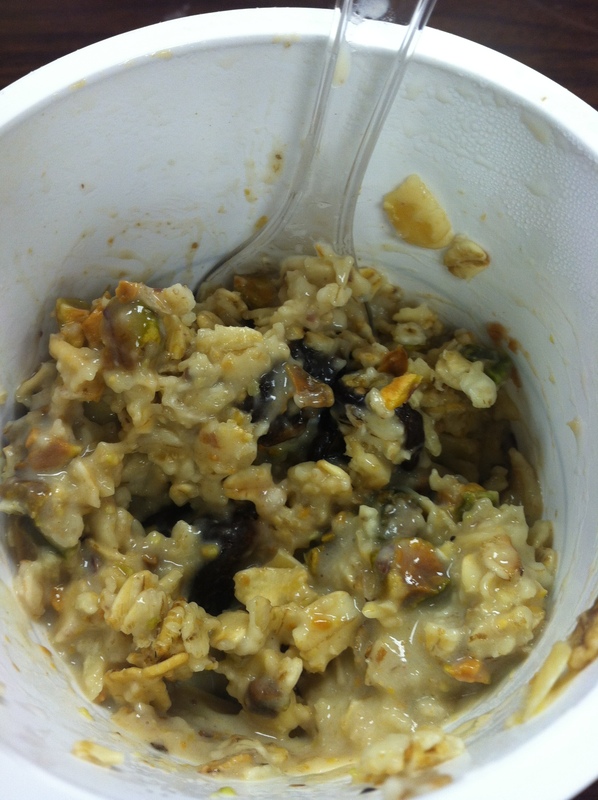 This one had Cherries, Pistachios, Almonds, and Quaker Oats (Of course!). The directions gave the option to put it in a pot and boil it, but since I was at work, I went with the microwave version. Honestly, I would have gone with that if I were at home too, since I’m lazy and want my food when I want it lol! I microwaved (‘waved? micro’ed?) with some water added, let it sit for about a minute afterwards and…. It was delish! The cherries added a wonderful sweetness, and the pistachios balanced it out with a slight salty flavor. I gobbled it up! I’m going to be looking for these in the market next time and see what other flavors there are. If they are as good as this one, they will be bought….by me….then eaten…you get it. Stay tuned for more Influenster products! Coming up next… Montagne Jennesse “Clean-up Mud” face mask. This entry was posted on Thursday, December 27th, 2012 at 6:36 pm	and tagged with breakfast, cherry, influenster, pistachio, quaker oats and posted in Uncategorized. You can follow any responses to this entry through the RSS 2.0 feed.